Handpainted Made in Japan Celery Dish. 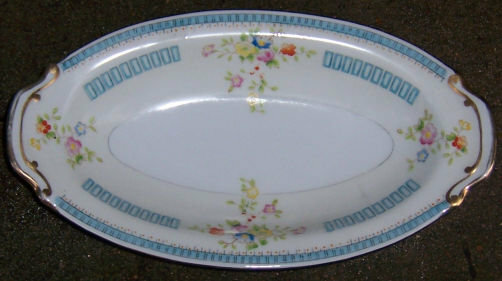 Blue Border with Floral Bouquets and Gold trim. 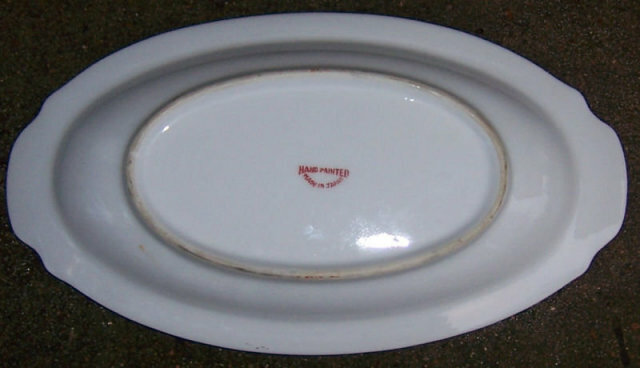 Dish is 4 3/4" across, 8 1/2" long and 1 1/2" high. Very good condition. Items Similar To "Handpainted Made in Japan Celery with Floral Sprays"